Great-taste & satisfaction in every drop. 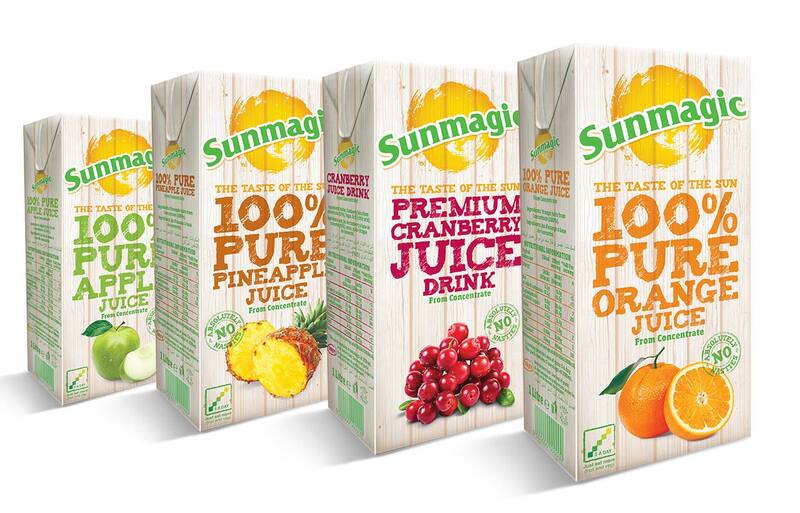 Our 1L Cartons come in all the most popular flavours. A portion of the Pure Juices conveniently counts as one of your 5-a-daydunt. 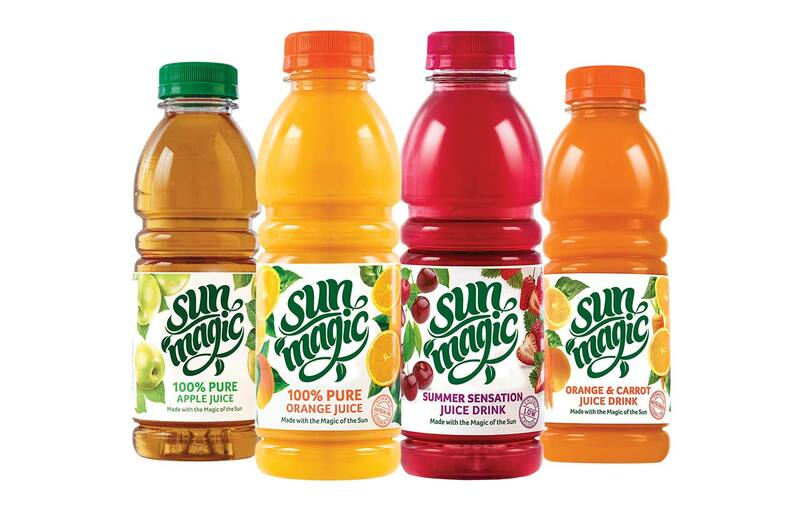 Our Sunmagic 500ml bottles come in a rainbow of delicious flavours. We think we make the best juices and smoothies around. That’s because we’ve been doing it for 20 years. They’re healthy and don’t cost the earth, but most importantly, they taste delicious. We only put the best stuff in our drinks and source the juiciest fruit from around the globe to make sure our drinks can add some magic to your day. And what a range. It’s a rainbow of fabulous flavours, and they come in all shapes and sizes from little cartons for lunchboxes to larger packs to take home. We’re an inventive bunch at Sunmagic. We’re always thinking up new ways to delight your taste buds, with fab new drinks being invented as we speak. We’d love to tell you what they are, but it’s top secret. Watch the shelves for the next exciting addition to our range. Follow us on social media to find out what we’re up to and to enter our latest competitions and giveaways.